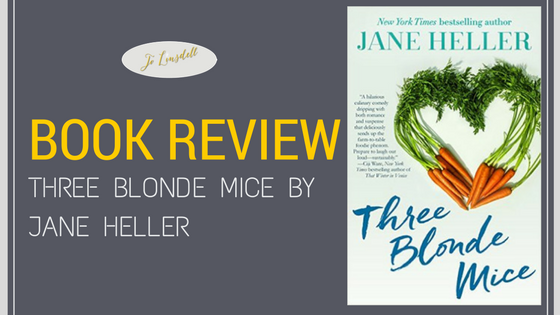 Today I'm sharing my review for Three Blonde Mice by Jane Heller. In bestselling author Jane Heller’s wild and hilarious mystery, three friends go on a cooking excursion with a famous chef, only to discover one of their classmates is very keen on practicing knife technique. Elaine Zimmerman and her best friends Jackie Gault and Pat Kovecky venture to a farm in Litchfield, Connecticut. It’s been over a year since their last trip together, a Caribbean cruise aboard the Princess Charming, and after dealing with a murderous ex and his hit man, they’re yearning for a no-drama vacation this time. During their Cultivate Our Bounty Week, they and eight other guests will learn how to cook farm-to-table meals with Whitley’s artisan-in-residence, a renowned TV/restaurant chef named Jason Hill. 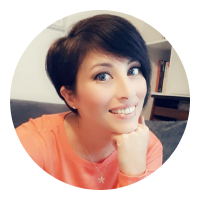 Elaine, the jaded, neurotic narrator, is less than thrilled—especially because the program wasn’t supposed to include a surprise appearance by her former boyfriend Simon, who’s still the love of her life but can’t commit to her. What’s more, after milking a cow and making cheese, she stumbles on evidence that one of her fellow agritourists is out to murder Chef Hill at the resort’s Bounty Fest finale. Is the killer among the freakishly fit Manhattan couple who takes their devotion to organic, hormone-free, non-GMO food to the point of obsession? The grandmother from Wisconsin who’s a groupie of the celebrity chef and follows him to every event? The mother and son from Palm Beach who bicker over whether he should give up his law practice to open his own restaurant? Three Blonde Mice serves up a crackling romance between Elaine and Simon, a twisty whodunit involving a screwball cast of suspects and a satire of current food fads and the farm-to-table chefs who perpetuate them.